Once Upon a Dream is the second book in the Twisted Tales series. At the time of writing, the series consists of five titles published over the past four years, with the sixth due in April 2019. Each of the novels is stand-alone, meaning you can read whichever stories intrigue you the most in whichever order you feel like. For reviewing purposes, I will be reading the full series in chronological order of publication, and I will be completely honest and spoiler-free in letting you know what I thought! Once Upon a Dream by Liz Braswell is a twist on the classic Sleeping Beauty tale in which, upon kissing her, Prince Phillip falls fast asleep next to Aurora. The princess has been living in a dreamland in which she has been raised by Maleficent since childhood. Only when she finds Phillip and pieces together the truth can she work to wake herself up and free her kingdom. It’s worth mentioning that you do not need to have knowledge of Sleeping Beauty to enjoy this book. If you’ve read my review of A Whole New World, you will know that I am a huge Aladdin fan, yet I did not enjoy that novel anywhere near as much as this one. Could this be because I’m not obsessed with Sleeping Beauty, and therefore not as possessive over the original story? If you have read these books and have felt similar, do let us know! It is interesting though, how the likeness of Aurora’s character and story pans out incredibly alike to another tale we know well. A blonde, naïve and girly yet scrappy and determined princess, living in a protected household whilst being raised by a mother figure unbeknownst to be the antagonist. She finds herself in the company of an attractive male stranger, towards whom her feelings are mixed, and together they embark on a journey of self-discovery and truth. Sound familiar? Let’s just say that if you’re a Tangled fan, this book might just be what you’re looking for. While this novel aims to challenge the character’s stereotypes and develop personality, our supporting lead Philip fits the fairytale prince cliché to perfection, charm and all. But in a twist I’m very appreciative of, Aurora just isn’t as smitten with the boy as she was once upon a dream. Yet together, they find themselves battling against evil fog, doppelgängers, scary fairies, vines… it’s not an easy path for them. Flora, Fauna and Merryweather are featured in the novel, along with the rest of the royals and a few other new characters, but it’s mainly down to Aurora and Philip to lead the way. Let’s face it, Maleficent’s motives in the tale of Sleeping Beauty are incredibly questionable. 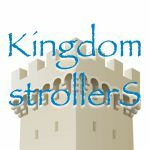 She decided to doom a baby and put a whole kingdom in jeopardy all for the sake of not getting invited to a party. She’d be rubbish if social media existed in her world. Yet the twist in this novel, in which Maleficent rules the kingdom in Aurora’s mind, provides a dark and clever outcome to the villain’s rage. However, it is important to remember that this is Disney, and with that comes a wave of predictability, particularly surrounding the ending, which wasn’t particularly enthralling, although there were some elements I found quite refreshing. I’m struggling to say more without spilling spoilers! This novel very clearly falls in the fantasy-adventure YA bracket, which does feature magic and sword violence throughout. Like A Whole New World, it’s not all shining shimmering splendid fairy-tale in genre, but I would definitely recommend this book to that audience too, as it is enjoyable, new, and exciting. Have you read Once Upon a Dream, or any of the other novels in the Twisted Tales series? If so, be sure to let us know what you thought. Also, keep an eye out for my review of the next book in the series, coming soon!